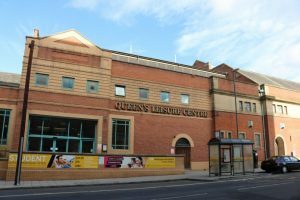 Queens Leisure Centre is looking to work with catering businesses based in the Cathedral Quarter BID area to provide “birthday teas” to customers booking a children’s birthday party at the Centre. The birthday parties generally take place on a weekend afternoon. However, other times may be available during school holidays. The food can be provided on-site, at the Centre or at the businesses own venue. Please note that Queen’s does not have any catering provision, so food cannot be prepared on site, or kept on site for a long period of time resulting in a requirement to arrange delivery of the “birthday tea” to the Centre or arrange with the customer for them to collect.